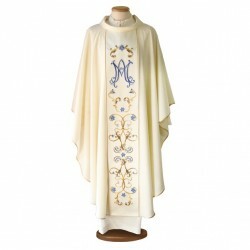 May, the month of the roses, is traditionally dedicated to the Virgin Mary. 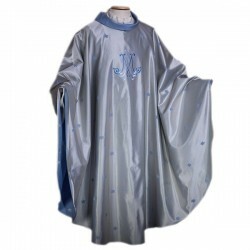 For this reason it is also defined the “Marian Month”. 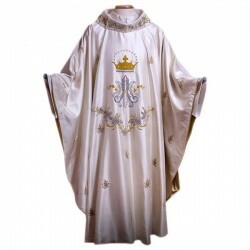 Here you will find the vestments consecrated to Her. 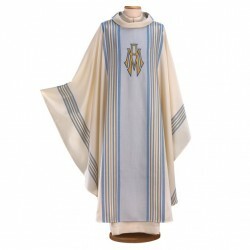 MARIAN VESTMENTS There are 8 products. 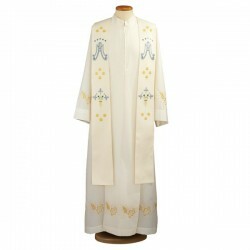 Wool chasuble with double twill, hand-embroidered by skilled embroiderers with machine. L. cm. 180, H. cm. 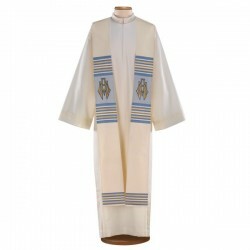 132. Made in Italy. 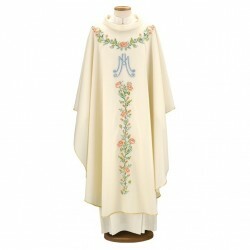 Wool and silk chasuble with hand-embroidered "Holy Mary". Made in Italy. 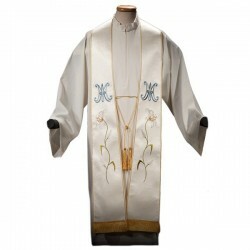 Polyester marian stole with machine embroidery. Made in Italy.